This Nativity set is carved from Tagua nuts in Ecuador. 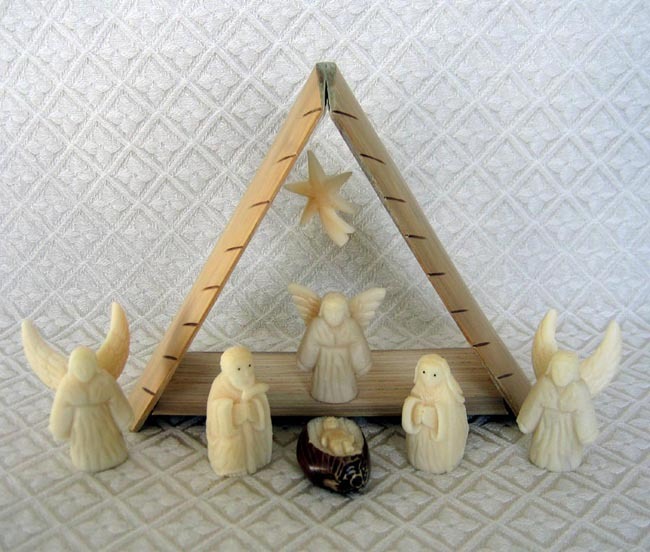 The set includes Joseph, Mary, baby Jesus, three angels, a star, and a stable made from bamboo. The Joseph figure measures 2 inches tall. The bamboo stable measures 6 inches tall.